A leaky faucet is a nuisance that you will probably face at some point. Even slow drips lead to higher water bills, wasted water, and the potential for water damage. On top of that, the sound of incessant dripping is enough to push anyone over the edge. 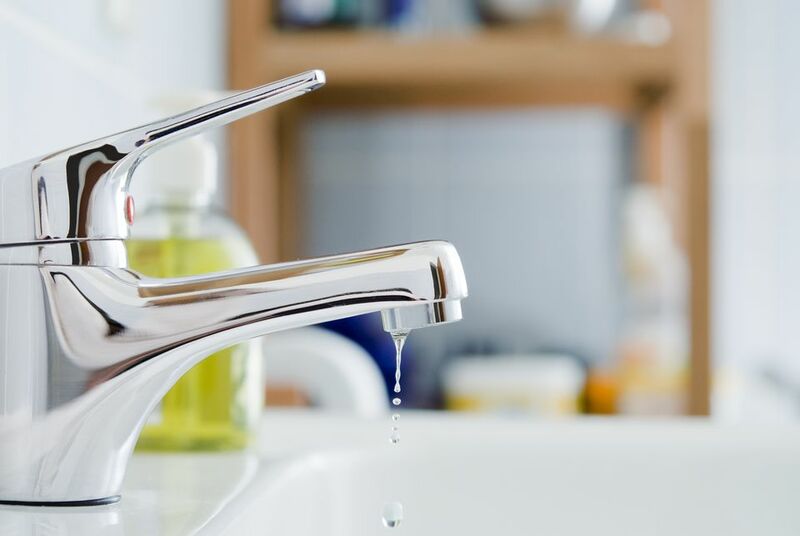 Fortunately, fixing a leaky faucet is a relatively simple task and one that you can complete without having to call in the plumber. By taking apart the faucet, you can identify the problem and make the necessary repair. Follow these simple steps to stop the troublesome drip and keep your faucet from leaking. You do not have to call in a plumber to repair a leaky faucet. Even an inexperienced do-it-yourselfer can tackle this project and save a bundle of money in the process. Most people already have the tools needed to repair their homes. The following steps walk you through the process from start to finish. Always turn the water off before beginning a leaky faucet repair. If you skip this step and attempt to take apart the faucet, you could end up with a flooded kitchen or bathroom. Locate the shutoff valves below the sink to turn off the water to the fixture. Alternatively, you can turn off the main water supply for the entire house. Turn on the faucet to verify that the water is shut off and to relieve pressure from the lines. Cover the drain with a stopper to avoid losing any small parts down the hole. Use the flathead screwdriver to remove the decorative handles from the faucet. Use the Phillips head screwdriver to remove the screws holding the handles in place. If the screws or other handle parts are corroded or difficult to remove, then use WD-40 to lubricate and loosen the parts. Set the parts aside and make a note as to where they go and how to reinstall them. Use the wrench to loosen the packing nut and reveal the stem. You can then twist or pry the stem off of the valve. Inspect the packing nut and the stem for signs of buildup or corrosion. Additionally, check the O-ring and the washer in the valve seat to make sure that they are in good condition, too. Clean the parts as needed to remove any buildup or deposits, and then set them to the side. With all of the parts removed from the faucet, you can inspect the valves. There is likely a fair amount of mineral depositing or other buildup. Pour white vinegar over the affected areas and allow everything to soak for several minutes. This helps dissolve the deposits to make them easier to remove. Use the scouring pad to clean the surfaces. Remove the stopper from the drain and pour clean water over the valves to rinse away any dirt and debris. Put the faucet back together in reverse order of the order you followed when you took it apart. If any of the parts are overly corroded or damaged, be sure to replace them with new parts. Turn the water supply back on and inspect the faucet for leaks.